Kevin Smith Transportation Group services the entire Delaware Valley. KSTG delivers services daily in Bucks, Chester, Delaware, Montgomery and Philadelphia counties. This includes more than 300 cities, towns, boroughs and townships. One of the places you will regularly see a KSTG vehicle is Radnor Township, PA.
Radnor Township, PA is a township with home rule status in Delaware County, PA. It contains the unincorporated communities of Garrett Hill, PA, Rosemont, PA, Strafford, PA, Villanova, PA and Wayne, PA as well a portion of the census designated place of Bryn Mawr, PA and Newtown Square, PA. As of the 2010 census, the township population was 31,531. 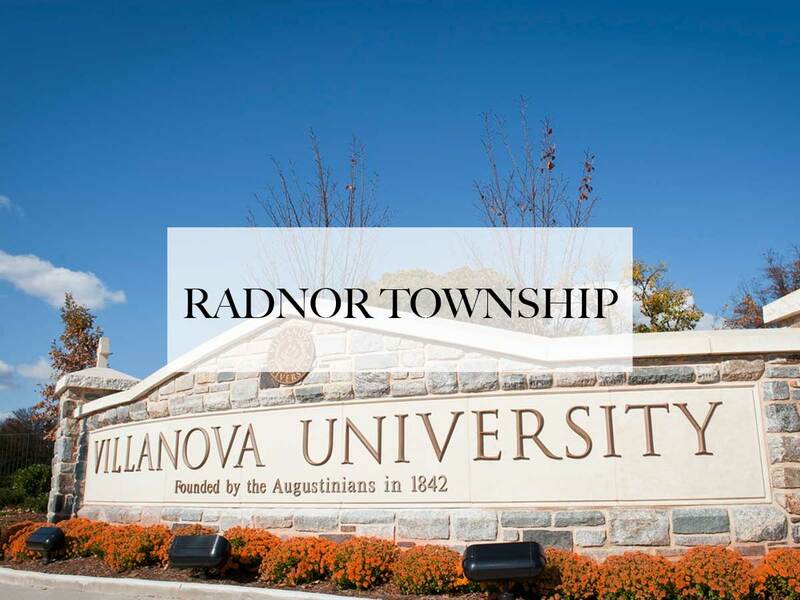 Radnor Township lies along the Main Line, a collection of affluent Philadelphia suburbs. In 1681 Richard Davies purchased 5,000 acres from William Penn. These lands were sold to various purchasers and were mainly in the location of current Radnor Township. The township was part of the Welsh Tract and was named for Radnorshire in Wales. In 1717, the Welsh Friends erected a Quaker meetinghouse (Radnor Friends Meetinghouse) near what is now the intersection of Conestoga Road and Sproul Road at the geographic center of the township. The new town, “Radnorville”, later known as the community of “Ithan” after nearby Ithan Creek, grew around the meetinghouse. The Welsh influence waned in the late 18th century as many left the area due to high taxation. Stone monuments were erected in various locations throughout the township in the late 20th century to commemorate the township’s Welsh heritage. The Bridge in Radnor Township No.1, Bridge in Radnor Township No. 2, Camp-Woods, Chanticleer, Downtown Wayne Historic District, Glenays, North Wayne Historic District, Pennsylvania Railroad Station at Wayne, Radnor Friends Meetinghouse, South Wayne Historic District, Wayne Hotel and Woodcrest are listed on the National Register of Historic Places. Radnor Township is served by the SEPTA Regional Rail Radnor Township/Thorndale Line and has 4 stations. They include the Radnor Station, St. Davids Station, Villanova Station and the Wayne Station. KSTG is a daily visitor to all 4 stations, moving employees from local companies to each of these stations. Common vehicles include the Mini Bus, the Sprinter and even the Cadillac XTS series. Kevin Smith Transportation Group offers a variety of services in Radnor Township, PA. On the social side, a KSTG Limo or Wedding Shuttle might be seen on any given weekend. Requests for a Limo for a Night on the Town or a Party Bus to go to Philadelphia, PA for a concert or show are routine for residents of Radnor Township, PA. If someone in Radnor Township, PA is headed to the Manhattan Cruise Terminal or Philadelphia International Airport (PHL), you can be assured that a KSTG Black Yukon or Mini Bus are ready for pickup. If you run or work at one of the many successful companies with offices in Radnor Township, PA, you may occasionally have a need for some of the Corporate Transportation services offered by Kevin Smith Transportation Group. This could include Airport Transportation to more than 8 International Airports, including Newark International (EWR), Kennedy Airport (JFK) and of course Philadelphia International (PHL). Shuttle Services are also popular for companies in Radnor Township, PA, often moving employees from local SEPTA stations to company offices. In the afternoon, those same KSTG Sprinters or Mini Buses will take those employees back to the train as they head home to Philadelphia, PA. For companies that utilize Private Aviation to travel around the country, a KSTG Cadillac XTS or Black Yukon is likely to be seen across Radnor Township, PA, headed to one of more than a dozen regional airports, including Northeast Philadelphia Airport, Wings Field or Doylestown Airport. Kevin Smith Transportation Group wants to thank everyone from Radnor Township, PA for choosing us as their preferred Transportation Company. With a focus on Luxury and Service, KSTG wants to be your only choice when considering transportation for everything from a once in a lifetime Wedding celebration to needing Shuttles or Sprinters for a Corporate event. KSTG and Radnor Township, PA, working together for all your Transportation needs.